Peru and Egypt have one major thing in common, and that is the existence of pyramids. Aside from that important fact however, these two are as different as any two countries can be. Let's take a closer look at their more important aspects. 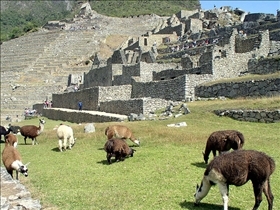 Peru, officially known as the Republic of Peru, is located in the western part of South America. It shares borders with Ecuador and Colombia to the north, and Brazil towards the east. Its southeast border is shared by Bolivia, and its south and west borders are shared with Chile and the Pacific Ocean respectively. Egypt, officially known as the Arab Republic of Egypt, is located mainly in North Africa, although it has a land bridge to southwest Asia by way of the Sinai Peninsula. 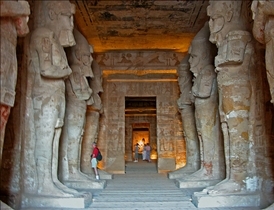 For this reason, Egypt is said to be a transcontinental country. It is also considered one of the major counties in Africa, the Mediterranean and in the Islamic world. Peru follows a democratic republic form of government with a president at the head of a multi-party system. Under the constitution of the country, the President serves as the head of the state and the government for a term of five years. The President can only seek re-election after sitting out one full term. It is also the President's responsibility to designate the Prime Minister and the Council of Ministers. Egypt has adopted the republic form of government since June 18, 1953. Although the country supposedly follows a multi-party semi-presidential system, governing power actually rests solely on the president. The country's president is elected to power by single-candidate elections that have been held off for over fifty years. Egypt also holds multi-party parliamentary elections on a regular basis. Peru is considered a developing country with its economy primarily dependent on trade. The country had a per capita income of about US$5,195 in 2010, and it has managed to get a Human Development Index score of 0.723 in the same year. Much of the country's economic activities center around exports, and this gives Peru the means to pay for imports and its external debts. Egypt’s economy on the other hand is largely dependent on agriculture, media, petroleum exports, and tourism. It is also estimated that as many as three million Egyptians work in other countries, among them Saudi Arabia, the Persian Gulf and Europe. Among the country's major issues have to do with the fast growing population, limited land for agricultural use, and dependence on the Nile River, all of which place a considerable burden on the economy. The country has since invested heavily in communications and physical infrastructure, and continues to rely on coal, oil, natural gas, and hydro power. Which country is less expensive to visit? Where does New Mexico stand population wise with these cities?